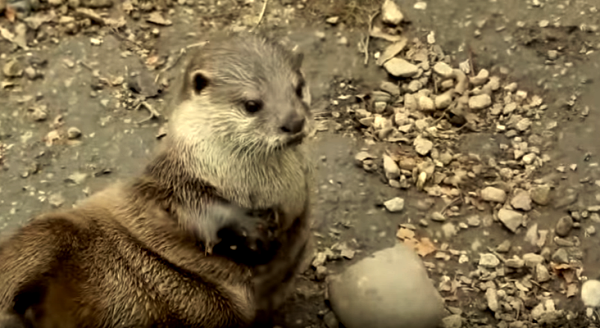 Why Do Otters Juggle Rocks? What's Their Purpose In Playing And Juggling Stones? Otters are often observed - both in the wild and inside the enclosures of zoos - playing and juggling with stones and pebbles. There are several videos of such strange behavior that you can watch on YouTube. These cute little animals have been recorded juggling one rock, two rocks, and sometimes three rocks. The question is why do otters juggle rocks? What's their purpose in doing so? What do they gain out of it? Unfortunately, it's still unclear why the otters do it. Some believe that it's merely an act of play solely for entertainment purposes. Think of a cat playing with a ball of thread. Or a dog having fun with a twig. It's possible that the otters are just juggling for fun. However, the bizzareness of the act makes some to propose that there's more to the act than just a mere source of entertainment. The otters doesn't seem to play with other things the way other animals do. They prefer pebbles over anything else. One theory is that this activity has something to do with eating behavior. This is because otters often use rocks as tools in smashing the shells of mollusks to gain access to the meat inside. Some suggest that there's a connection between the two. Some otters have been observed vigorously defending the rocks they have against other otters. One theory suggests that the activity resembles the act of gathering food and that it may signal hunger. This is because the act of juggling declines when the otters are fully fed. But then again, as we mentioned above, it could be just a case of them otters killing time and entertaining themselves.